PHOENIX,AZ – October 29- BioAccel is among six organizations that were named winners of SSTI’s 2012 Excellence in TBEDaward, serving as national models for states and regions investing in science, technology and innovation to grow their economies and create high-paying jobs. BioAccel was selected as the Most Promising TBED Initiative, recognized for a transferable technology commercialization model and a creative funding approach. Awards were presented during SSTI’s 16th Annual Conference in Atlanta, attended by more than 250 local, regional and national leaders in economic development from more than 40 states. “These organizations are helping to lead our nation’s economic recovery and their successes further substantiate the value of tech-based initiatives for regional economic growth,” said Dan Berglund, SSTI President and CEO. BioAccel helps companies move from discovery, through development and into the marketplace. Their programs help bridge the gaps between development and commercialization to ensure that a company will be successful, has incentives to relocate into a City, expand, add jobs and create positive economic impact. Philanthropy is used to fund the riskiest portion of commercial development with the objective of making these companies more desirable for downstream investment by angels and venture capitalists. Working with universities, medical centers and entrepreneurs, BioAccel translates late stage discovery research into commercial products by providing proof-of-concept testing, new company formation support and business/technical expertise, to address the significant funding challenges related to both technology and company development. Using philanthropy rather than traditional venture funding, BioAccel has developed an innovative approach to funding and serves as a promising model for organizations dedicated to technology driven economic development. 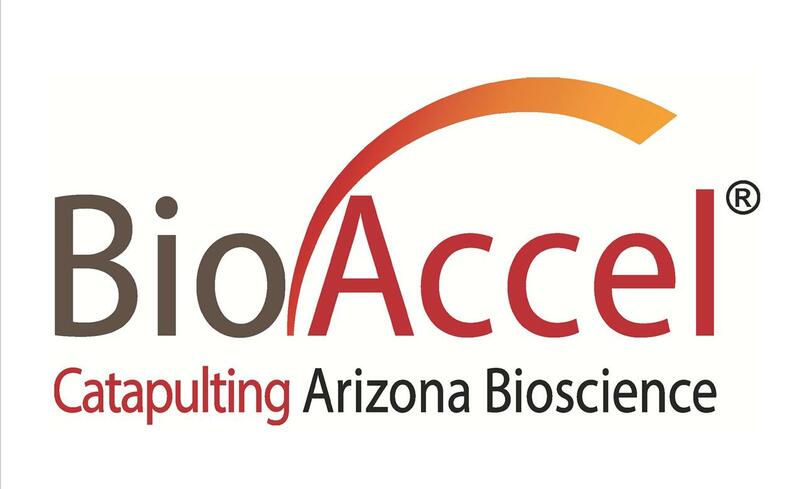 In just three years, BioAccel has supported 11 companies in Arizona, investing more than $4 million cash/in-kind directly, as well as facilitating an additional $15.5 million in downstream funding. More than 35 jobs have been facilitated through these initial efforts. Applications from organizations in 26 states across the country were submitted for the 2012 award categories. The field for Most Promising TBED category was considered the most competitive. “To be selected from such a competitive field is quite an accomplishment, but more importantly to us is the national recognition of the value and reproducibility of our model. Using Philanthropy to mitigate the high risk of early stage investing is a critical aspect of our model. I also believe embedding the BioAccel model into the operation and management our new medical device incubator BioInspire reflected the versatility, portability and value-add of our programs in accelerating commercial development of novel ideas generated in the community said MaryAnn Guerra, CEO BioAccel. Over the past six years SSTI has recognized 32 initiatives for their successful efforts to support the creation and growth of technology companies. BioAccel’s award is a first for an Arizona based company. About BioAccel – BioAccel is a fully independent nonprofit organization, based in Greater Phoenix, dedicated to translating life science discoveries into new business opportunities that drive economic development by accelerating commercialization of technologies with a focus on diagnostics, therapeutics, devices, tools and services. Posted in AZBio News, Members and tagged BioAccel.